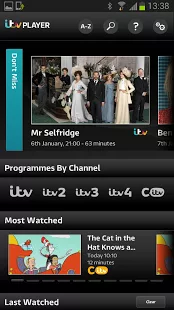 ITV Player version 3.3 lets you catch up with your favourite ITV programmes on a wide range of Android mobile and tablet devices. We have tested the application on the following devices – Samsung Mobiles: Galaxy S, Galaxy S2, Galaxy S3, Galaxy S3 Mini, Galaxy S4, Ace2, Galaxy Note (original) and Galaxy Note2. Samsung Tablets: Galaxy Note 10.1, Galaxy Tab 2 7.0 and Galaxy Tab 2 10.1. Google: Nexus 4, Nexus 7 and Nexus 10. HTC: One, One S and One X. Sony: Xperia Z. We have now added a Video Quality function in App Settings (top right of the Homescreen) which means you can manually adjust the video quality that you receive. We hope that this will resolve issues some of you have been experiencing with video playback and excessive video buffering. Tell us what you think. 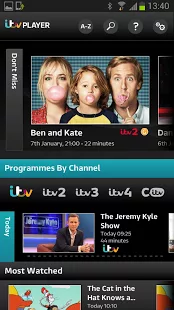 We would really appreciate you getting in touch with our Customer Support team: itv.comsupport@itv.com.